Enjoy the flavor of loose leaf organic tea on the go or at home in a beautiful, convenient new way. 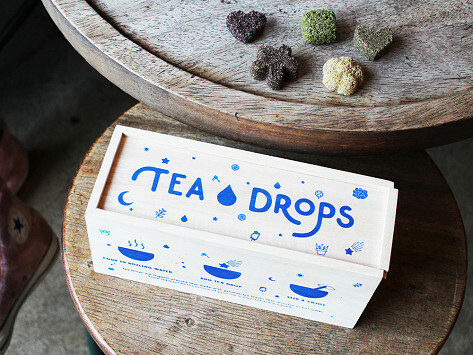 Tea Drops are Made in the USA with finely ground tea leaves that are compressed—along with aromatic spices and a little sugar—into sweet shapes like a flower or heart. Just drop one into boiling water and it dissolves almost instantly into a perfectly balanced, high quality cup of tea without any of the mess or tools. Assortment of 25: 8.5" x 3.25" x 3.25"
Assortment of 25: 1.06 lbs. Gave this as a gift and the recipient loved them. 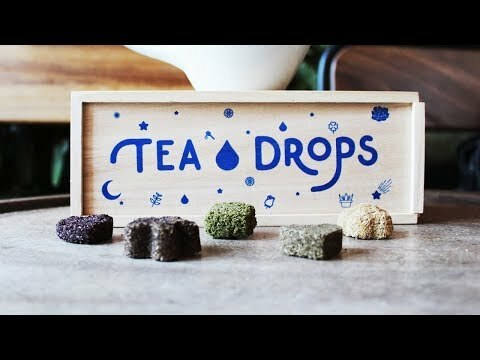 Tea Drops are an entirely new way to enjoy the flavor of loose leaf organic tea on the go or at home. They’re beautiful and convenient—you won’t need any of the tools or create any of the mess. Each sweetly shaped drop is Made in the USA. It’s a combination of finely ground tea leaves that are compressed with aromatic spices and a hint of natural sugar. Drop one into hot water and it dissolves almost instantly. Founder Sashee Chandran grew up in a tea-loving household. But as an adult she found she rarely had the time (or tools on-hand) to steep a cup of loose tea. She experimented with different blends and techniques for two years before coming up with the perfect combination, and the many tea-drinkers here at The Grommet think she nailed it. Sashee proved you don’t have to sacrifice quality for convenience to get the perfect cup of tea.